Ruffing educates the whole child by addressing each individual's academic, physical, emotional, and social development through Montessori principals that encourage a love of learning. 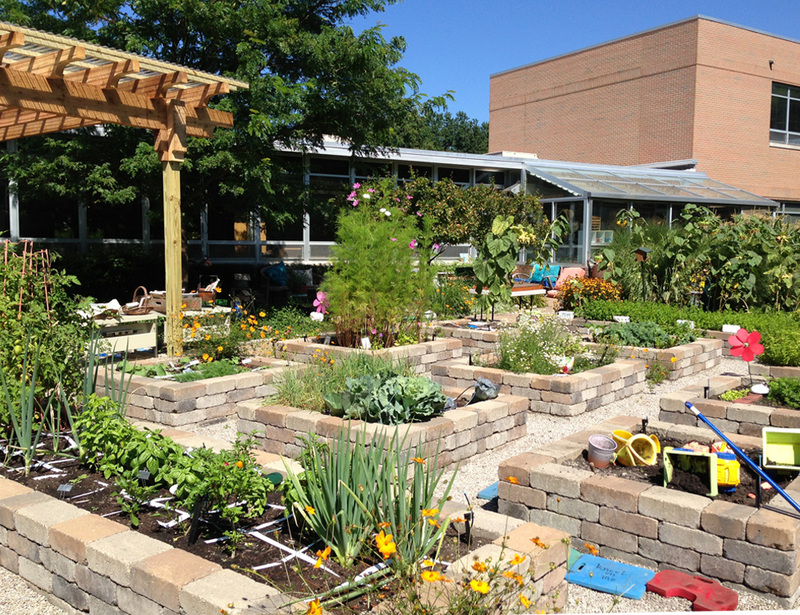 The Ruffing Learning Garden extends this mission to the outdoors through opportunities for hands-on experience, including raised square-foot vegetable garden plots, bean pole tepees, an outdoor classroom, sensory garden, shade garden, sunflower house, and reading nook. Behnke's master plan placed sustainability at the forefront of the children's education, via compost bins, a green-roofed storage shed, and a rainwater runoff treatment progression through a rain barrel, bioretention cell, wetland, and ending in a pond.